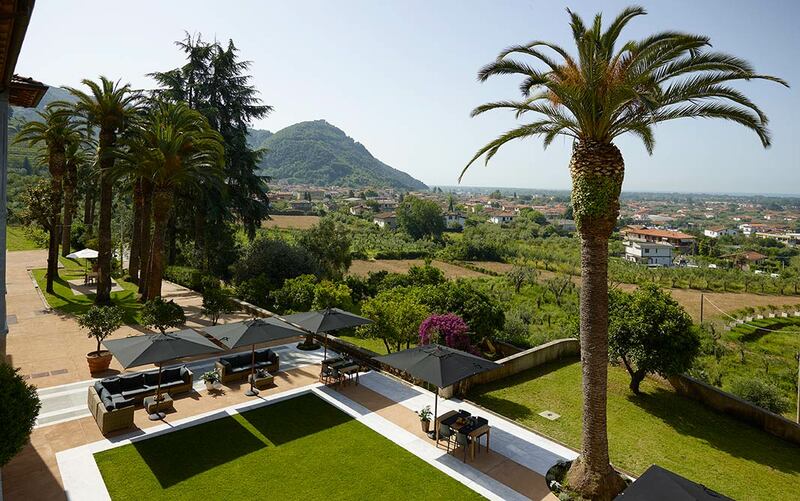 The charming hills of Versilia, the majestic peaks of the Apuan Alps and the nice breeze of the Tyrrhenian Sea are the elements of an enchanting scenery, the place where the Relais Montepepe, Winery and SPA with pool is located, a hotel housed in an XVIII century villa surrounded by vineyards, olive groves and a citrus grove. Montepepe is the name of the hill from which you can enjoy the amazing view of the Versilia coast, and here, in the middle of the XVIII century, was built the Villa, nowadays an enchanting relais due to the careful restoration that has maintained and enhanced the identity of each room, recovering the ceilings and floors using local raw materials, such as the Carrara marbles. The peculiar beauty of this hill derives from the terracing designed here, from the flatland to the woods: the perfumed olive grove in which stands the green-gray shade, the vineyard wanted in the XIX century by Charles Louis of Bourbon, who here wanted to create a corner of Bordeaux in Tuscany, then the wood, characterized by maritime pine, cork oak, turkey oaks and cane-apple tree. 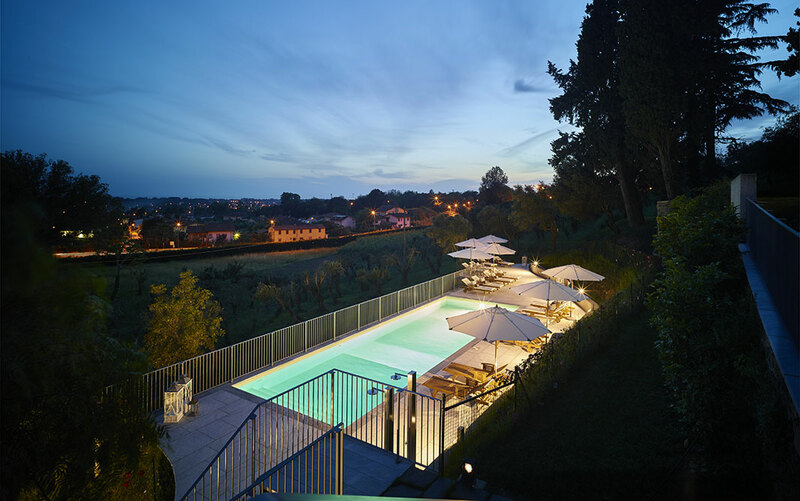 The microclimate that surrounds this corner of pure quietness in Tuscany, just 5 km from the Tyrrhenian Sea, is ideal for relaxing holidays in connection with nature, without giving up the comforts of a refined and cherished hotel. 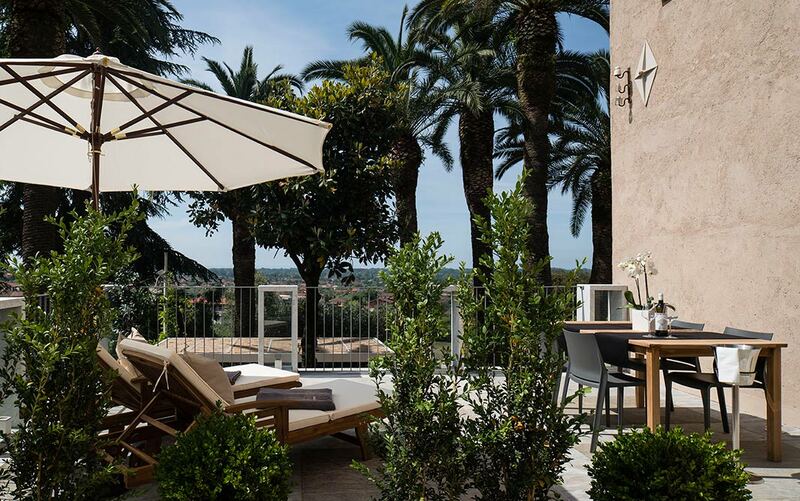 The suites of the Relais Montepepe have in common the large size and the tie of the Villa with its origins, featuring chestnut wood beamed ceilings, plaster of pure, natural coarse-grained lime, solid oak and local stone flooring, and include the most sought-after amenities such as air conditioning, free Wi-Fi, fridge, 32” flat-screen TV and safe. The suite bathrooms, with bathtub and shower, have white Carrara marble cladding of big dimensions and flooring of pastel colors. Furthermore, courtesy kit is included. 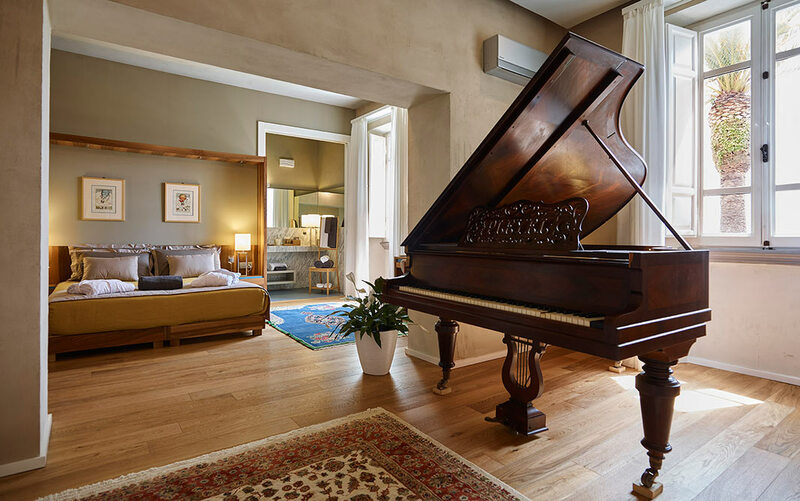 Each room has its own personality, such as the Alberico Suite, with a sea-view terrace, 3 double bedrooms and a living room with kitchen; the Pleyel Suite, once a music hall, which has preserved the piano and vintage carpets, now embellished with exclusive furnishings, two double bedrooms, a sofa bed and two bathrooms. 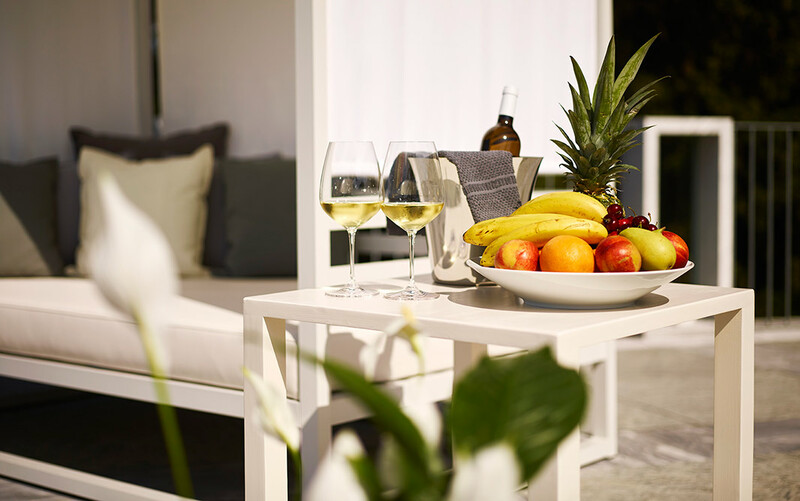 The Terrace Suite, on the second floor of the Villa, has a 80 sqm terrace overlooking the sea and the vineyards and is well-equipped with sun loungers and parasols, a daydream that makes your stay at the Relais really enjoyable. 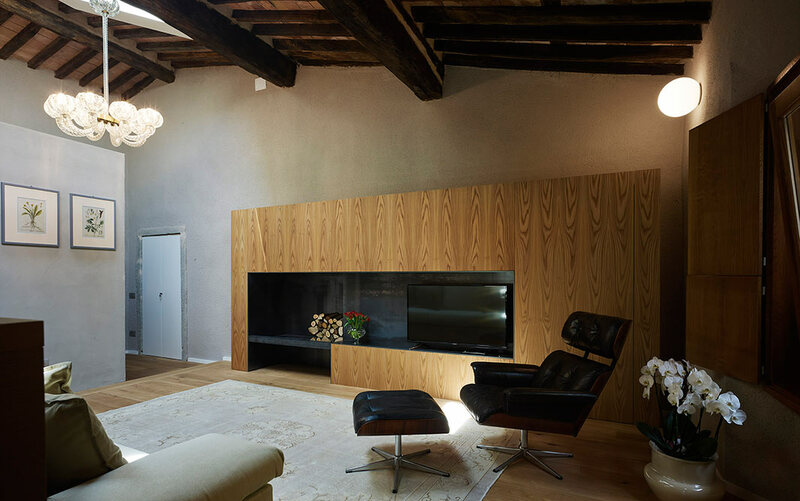 The interiors are also embellished with ornamental designs in the beautiful kitchen and an antique Murano glass chandelier in the living room. 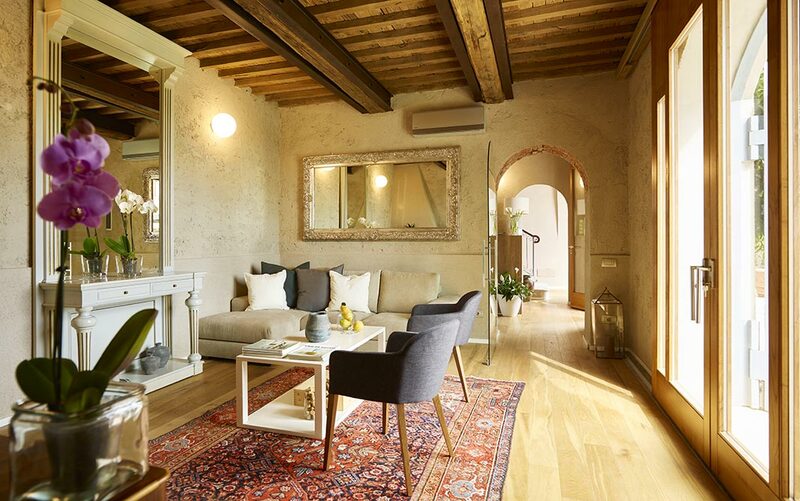 The excellence of Montepepe is dual: the suites, large, elegant and cozy, the vineyard and the wine cellar, a peculiarity of this part of Tuscany, different from the rest of the region. Ventilated summers and mild winters facilitate vine growing, faithful to the XIX century tradition, when French vigneron experts came here to plant the first vineyard. 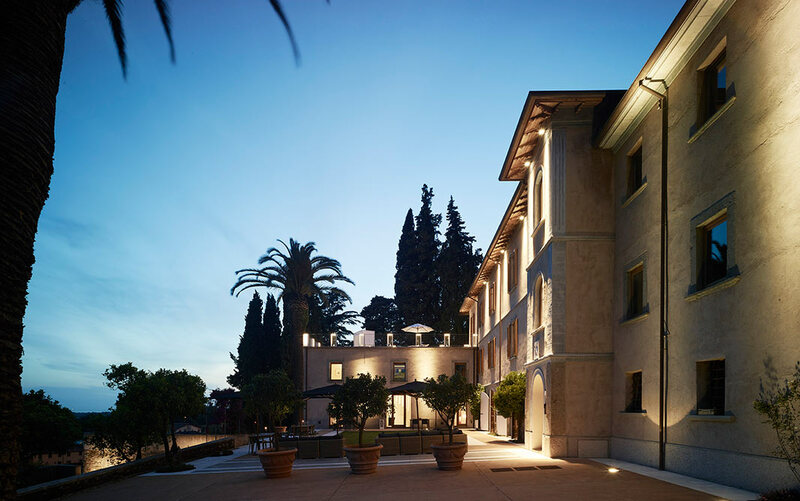 White wines such as Vermentino and Viognier, and red wines like Syrah and Massaretta, can be tasted in the cellars on the ground floor of the Villa, carefully restored to vinify by modern techniques while, at the same time, respecting the unique environment in which they were built. 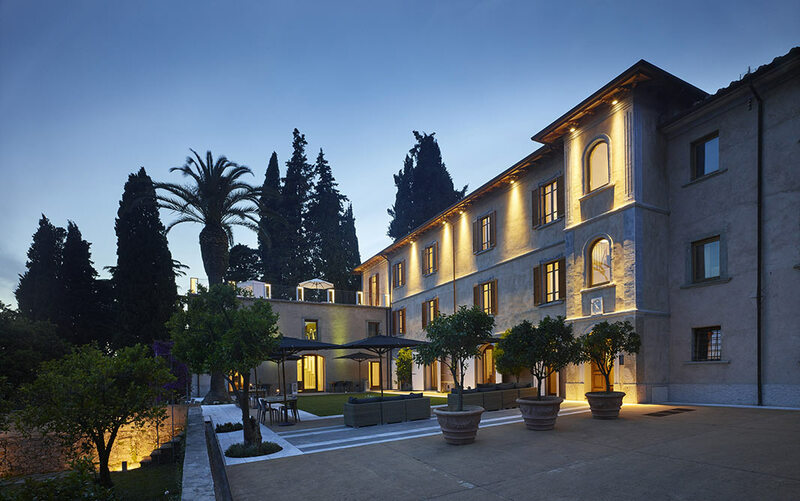 The gallery crossing the cellars, thanks to the small recesses excavated underneath the hill, is the space where the best vintages produced by Montepepe are preserved, a precious example of the noble history of this Villa. 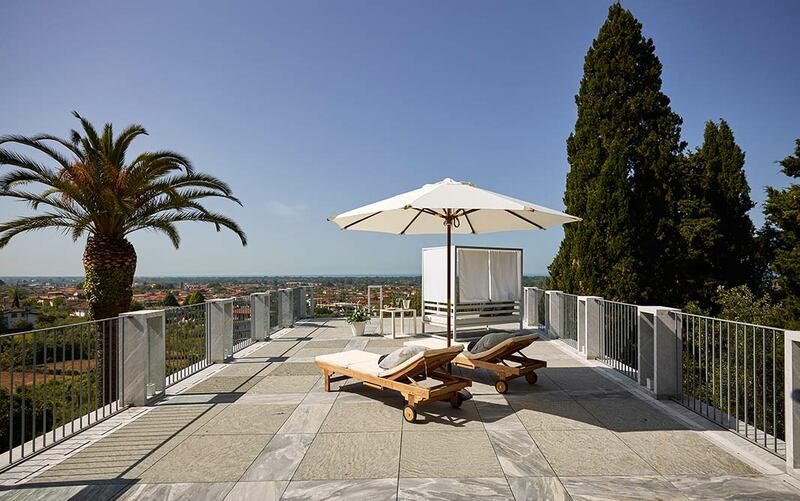 The outdoor pool offers a breathtaking view of the surrounding greenery and is the relaxing area that enriches Montepepe's offer; this terrace, paved with Carrara's white marble, is provided with deckchairs, umbrellas and sun loungers, and is recommended for a very restoring stay. 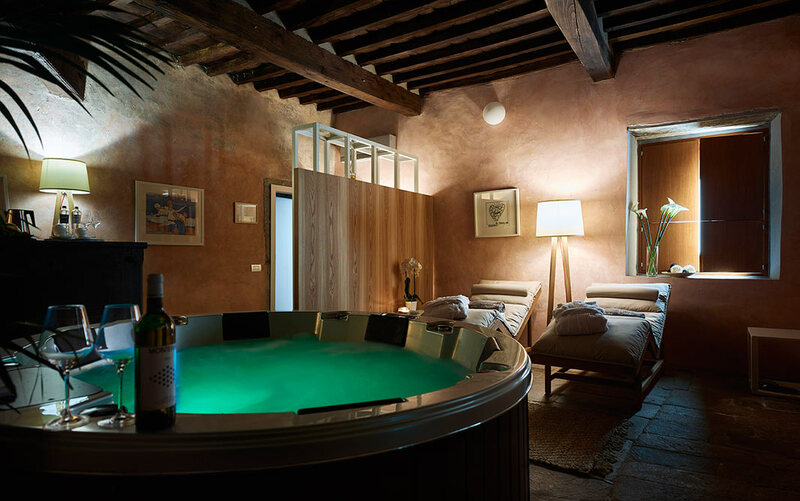 Book a vacation at Relais Montepepe Winery and Spa to showcase a treasure chest of authentic feelings that only this special place can give its guests.